Front Row (L to R): Hillary Dansie, Amanda Holloway, Sam Ruggles, Tyler Smith, Hether VanVoorst, Kixx Isrealson Middle Row: Kenzie Billings, Chelsea Tueller, Camie Oka, Kaylee Poulsen, Alexa Ferdig, Kate Knaras, Ashley Bailey Back Row (L to R) Assitant Coach Jesse Frampton, Callee Frampton, Emily Newman, Megan McCleary, Peyton Evans, Breanne Jardine and Coach David Oka. 1. Be agressive: In everything lacrosse be agressive. 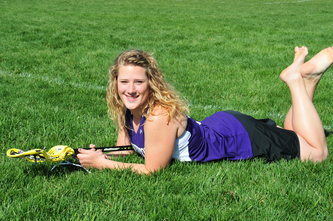 Be hungry and possitive about any and every opportunity to play lacrosse. Love the game. Don't let it overtake your life, but make it a top priority. 2. Be a student of the game: Learn it. 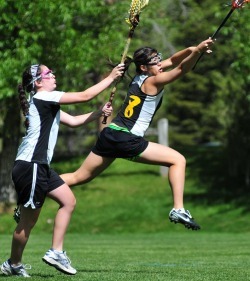 In Utah, LAX is still a small sport; you have to go out of your way to learn more about it. Varsity players make time and earn the money to go to camps and off-season leagues. A big factor in making the team is whether you took the initiative to play Mamaci, go to camps and play 7's. There are countless of off-season ways to get better. 3. Be a player: It's a no brainer...kids who play basketball, volleyball or run cross-country are better lacrosse players...end of story. 4. Be the Stick: You won't play Varsity if you can't catch and throw the ball accurately, completing passes and catches on a very high level. You should be able to play with your weak-side hand. LADY WOLVES move on to STATES! Article featured in Westside LAX! 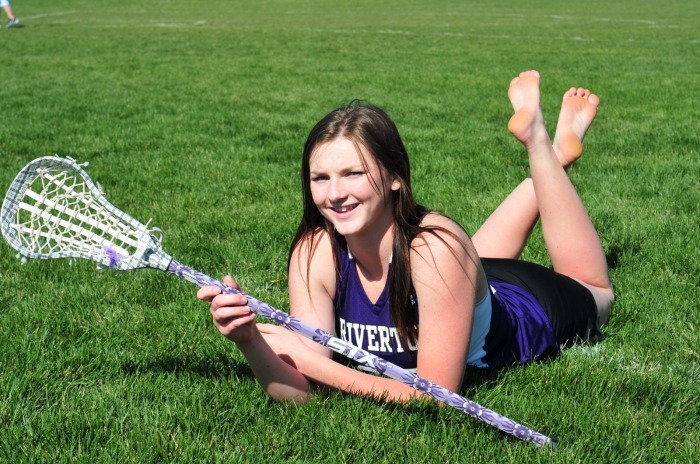 Senior middie Peyton Evans scored a game-high six goals to lead Riverton to a 16-6 victory over Olympus in a Utah Lacrosse Association Division I semifinal Tuesday afternoon at Juan Diego Catholic High School. Junior middie Emily Newman added five points on three goals and two assists, senior attack Kenzie Billings finished with four points on three goals and one assist and senior attack Kait Knaras scored three goals to help the Silverwolves (12-2) advance to the state championship game for the first time in school history. 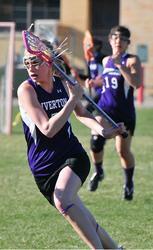 Riverton will next face defending state champion Alta on Saturday afternoon at 4 p.m., MDT, at Viewmont High School. 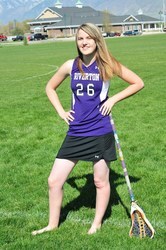 Alta dealt Riverton its only two losses of the season, 19-7, on March 16 and, 20-7, on April 8. Indeed, Riverton brought its best game to Tuesday’s semifinal, blowing out an Olympus team that was slightly favored. 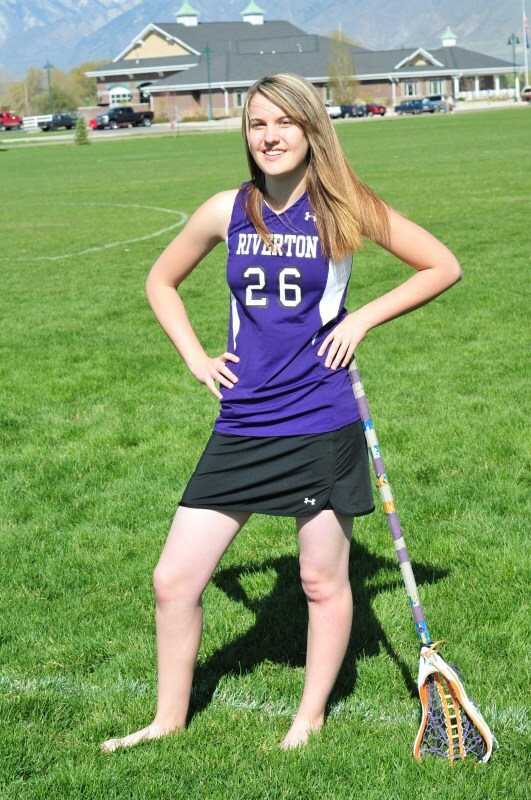 Junior middie Camie Oka rounded out Riverton’s offense with a goal and an assist, and senor goalie Megan McCleary saved six shots. Olympus finished the season 12-2. 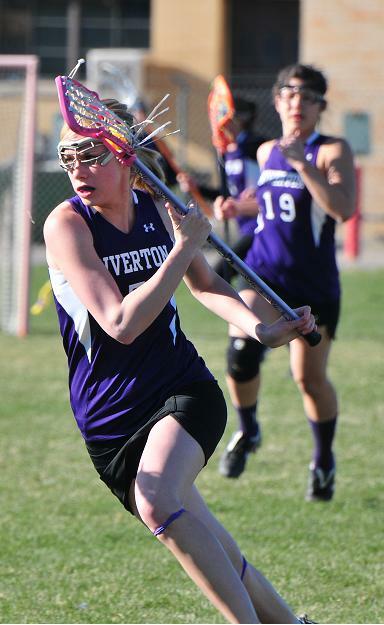 Riverton outscored Olympus 8-3 in both halves. Senior attack Kait Knaras and Junior Middie Emily Newman have been chosen to play in the end of the year All-Star game this friday before the state championship game on Saturday. "They deserve it", Coach says, "They have been a huge part of what we do and are true all-stars. Unfortunately, I'm hoping they won't play much due to States on Saturday, but it will be fun for them". Coaches Comments, "I said it before, she's thee best player in the state of Utah, now the other coaches admit it too. The best thing about it...it doesn't change who she is...she's the same Peyton"
Coaches Comments, "An absolute one-on-one beast of a player. She dedicated herself early in this position and now it's paying off. She'll be awesome at Westminster. A born leader and loved by her teamates". 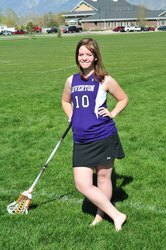 Coaches Comments, " If she has a great game or not so great game it doesn't matter, Megan is always happy, always smiling, NEVER gets down. That's the sign of maturity and unconditional unselfishness from a goalie. I see other goalies throwing helmets and crying, putting their feelings before the team...Never from Megan. She is rock solid. She also stops goals at the most critical times. Coaches around the league agree she has a canon of an arm and the most accurate clears". Coaches Comments, "We've been working with Callee on her agressiveness and overall grit. It's against her nature. After a couple of yellow cards due to dangerous checks, I think she kind of likes it. I don't advocate dirty play, but I tell my players, that if they don't get penalties now and again, they're not trying. Leading the team with 20 plus forced turn-overs, Callee has had her break out year. Now it's up to her to take it as far as she wants." Coaches Comments, "A very athletic player, Kenz never turnsover or drops the ball. She is very dependable. If the games on the line, I'm happy with the ball in her hands to make a play for herself or others. A well deserved award." JOIN OUR TEAM for the Race for the Cure!!!! 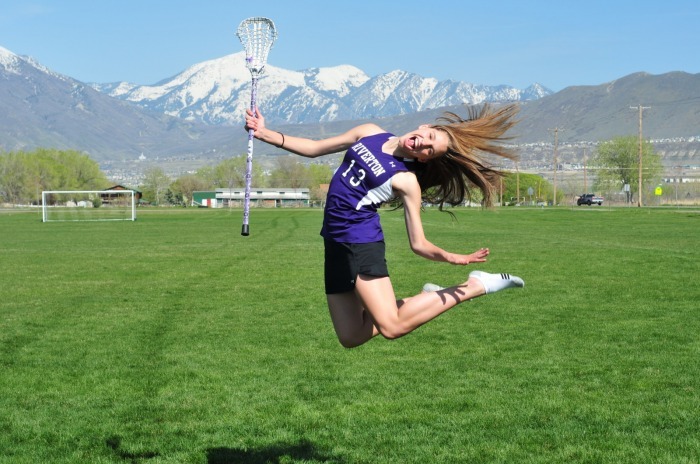 Following the examples of seniors Megan McCleary (Goalie), Alexa Ferdig (Def) and Peyton Evans (DW) who played for the Utah National Team in 2009, Camie Oka was selected to the 2010 Utah National Team last weekend after team try-outs among the league's top 9-11 graders. 18 Players were selected among approximately 50 players at Westminster College after a 4 hour workout. The Team will represent Utah/Idaho HS LAX and will travel to Baltimore this spring to compete with HS teams from other states. Congratulations to Camie! **Awesome Pro Photos vs. Juan Diego available here, the catch...you gotta buy them...Include Camie, Kenz, Kate, Amanda, Kixx, Kaylee, Megan, Emily, Callee, Alexa, Bre and More. **Play off scheduled now published. See brackets under schedule. **RHS Girls LAX Thanks Their Sponsors! Please see "sponsor" on the left. **Critical Rules for 2010. Please watch this video! **Mamaci sign ups are now open!!! Please see flyer in Mamaci and Lax Clubs on left. **All new pictures can be linked at 2010 on left. Hundreds of downloadable pics. **Peyton Evans is named as Honorable Mention TOP 25 Players in the West. This is a huge honor. Way to go Peyt. **Another order will be placed for cool gear. Bring order to practice by April 2nd. 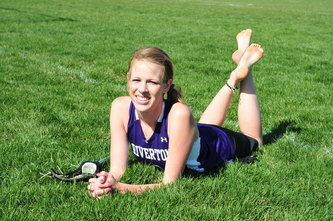 **Peyton Evans, Megan McCleary and Alexa Ferdig have been chosen as the Varsity Team Captains for 2010. Peyton considers herself a defensive midfielder as seen here in a Mamaci game against BYU, but she happens to be one of the most prolific scorers in the league. 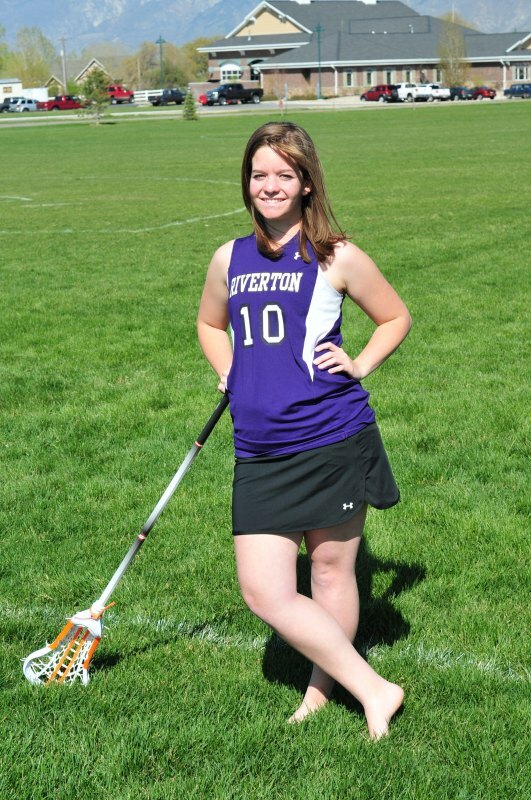 Alexa Ferdig was awarded all-league second-team defense. She was considered the core of a powerful defensive line of 2009.